The village publishes an annual drinking water quality report to provide residents with important information about drinking water. For a water-related emergency during off-hours, please call Dispatch at (815) 485-2500 to report the emergency. For utilities-related inquiries, please call the Village at (815) 469-2177. Water is billed on a monthly basis, with a minimum of 2,000 gallons charged to all accounts. Payments may be made through the mail, in person, or by placing both check and bill in the drop box located in the front parking lot of the Administrative Office Building. Direct Debit or online charge payments are now accepted. It's easy to use the automatic payment program. Click here to download an informational pamphlet. To sign up for the automatic bill payment, complete the authorization form and return. Please remember to include your account number on all payments to insure proper credit to your account. � A 10% penalty will be applied to overdue accounts. � A $45 fee will be placed on all accounts if water is shut off for non-payment. � A $25 fee will be charged for all return checks. Hydrants within the Village of Frankfort are flushed each spring and fall. 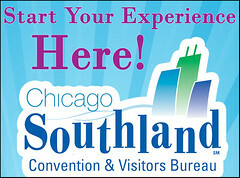 Visit http://chicagolandh2o.org/ for valuable information regarding water management.